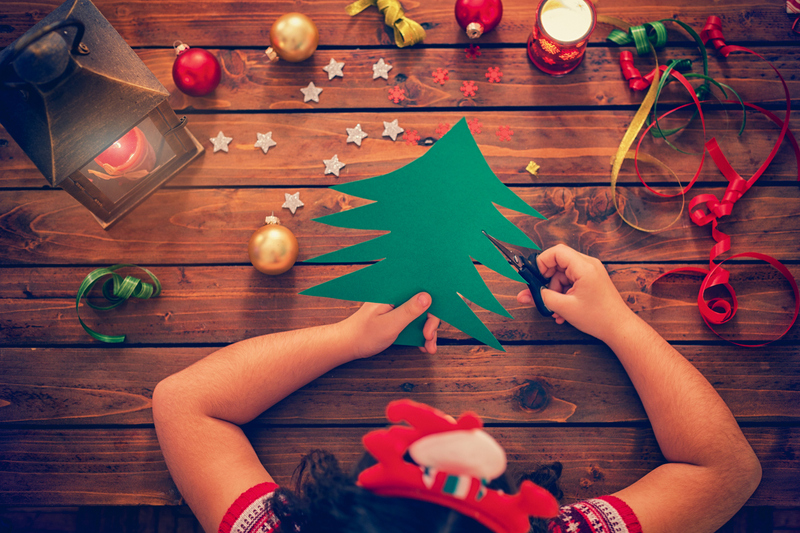 The holidays are a time when we can allow creativity to flow in the classroom, and crafting is a fun way to enhance the education of our students. Crafts will get our students’ brains and hand working in tandem so their learning can be reinforced. Salt dough ornaments can be done in a large batch so it is ideal for a classroom. Following the recipe and measuring is a great way to enhance math education. The possibilities of shaping and painting the ornaments are endless, so each one is unique as each of our students. Be sure the ornaments are completely dry before painting them, and then seal them so they will last. Making homemade slime is something that most children love and shows how ingredients interact to add to a science lesson. Slime is customizable, so we can make it fit any holiday by adjusting the colors, scents, or add-ins. Red and white slime can be used to represent candy canes or Santa Claus. Use blue and gold glitter for a festive Hannukah slime. Confetti fireworks make a fun New Year’s slime to celebrate the coming year. it is important that every student in our classroom is represented, and for each student to learn about traditions other than own. The Kwanzaa ear of corn symbolizes children and their importance to the future generations, so making an ear of corn from construction paper and paint is a perfect craft for our students as they learn about cultures other than their own. There is a multitude of activities that can be done in our classrooms to strengthen our students’ learning. Let’s take inventory of our art closets and get creative. Don’t be afraid to get messy, because it means our students are learning and having fun!